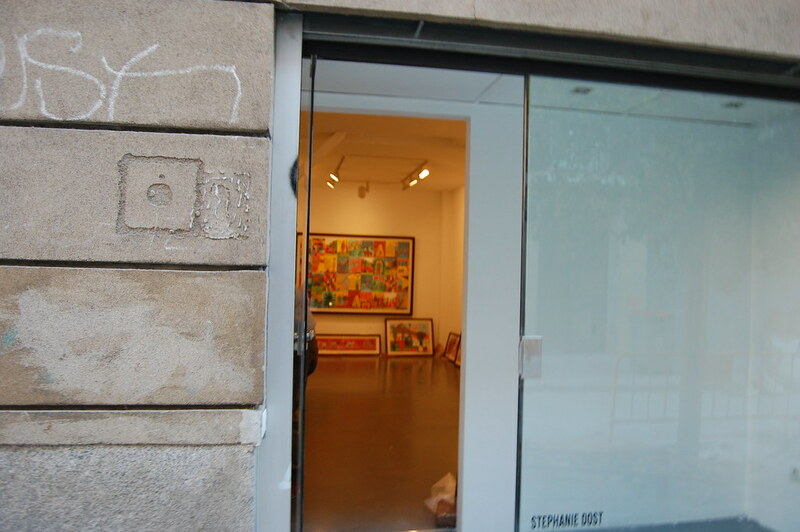 Most contemporary art spaces in Madrid are clustered in a few main areas, packed fairly closely together in each. 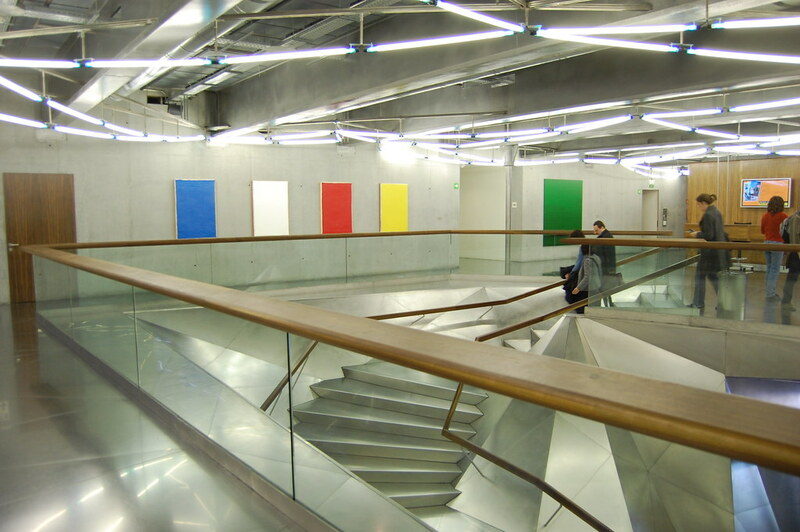 We'll start today with some galleries located in the southern section of the city near the Reina Sofía. This isn't even close to an exhaustive guide (Artforum provides a thorough listing in their international section), but here are a few places we enjoyed. 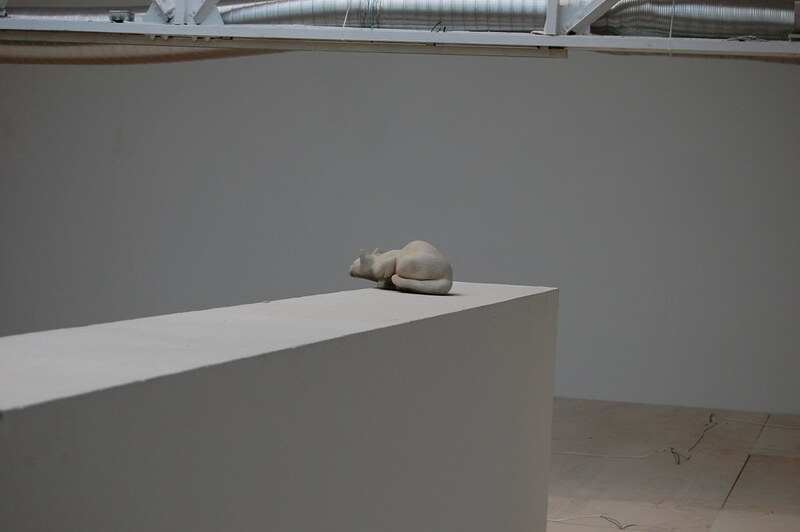 I can’t even begin to imagine the economics of running a gallery across the plaza from the Reina Sofía, but Galeria Salvador Díaz has been doing that in a massive space for over a decade. 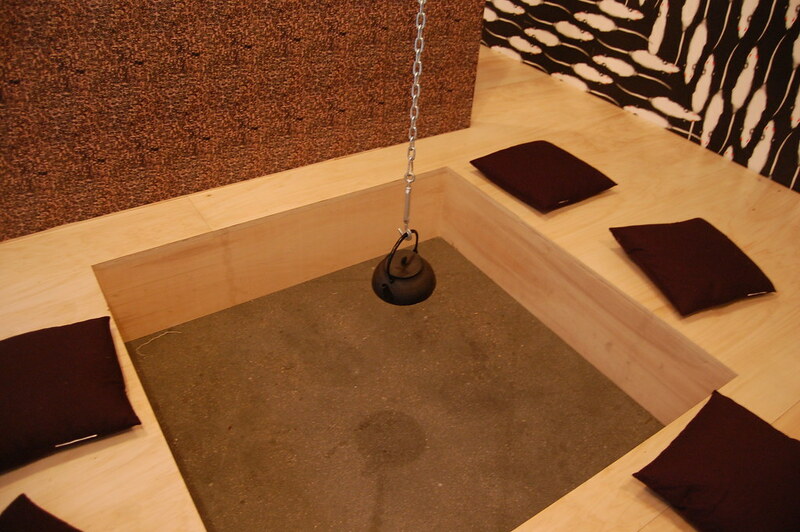 They predominantly show Spanish artists, but they also host some ambitious programs curated by outsiders. We arrived to see a Rirkrit Tiravanija-organized show that featured some of the people you’d expect (Liam Gillick, Gabriel Kuri) and some surprises (Martha Rosler, Jakob Kolding) assembled in a plywood recreation of his home in Thailand. Housed in an elegant two-story space, Helga de Alvear usually does two shows at a time just down the street from the Reina Sofia. Angela Bulloch and Jorge Queiroz were showing work when we visited, part of a group of about twenty-five largely well-established artists in their roster, including Elmgreen & Dragset, Isaac Julien, Imi Knoebel, and Santiago Sierra, who recently had his “Los penetrados” show here. The closest New York parallel to La Casa Encendida may be the Brooklyn Academy of Music. 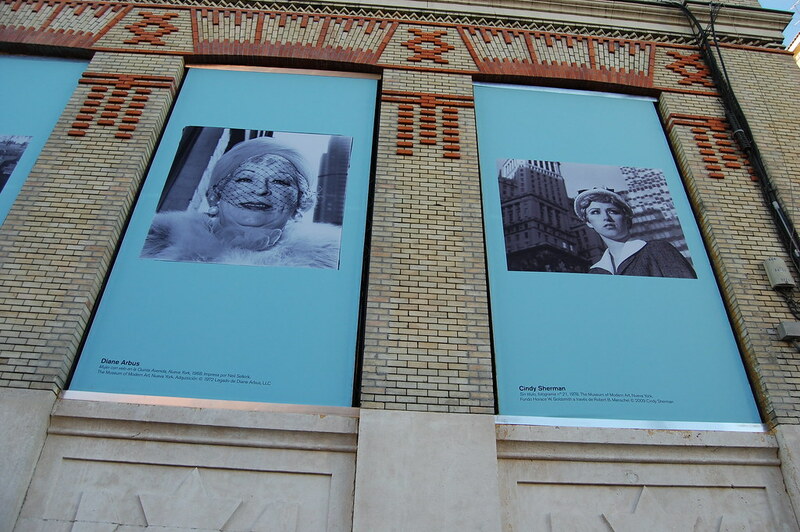 The selection of films, theatrical productions (housed in their massive, enclosed courtyard), and workshops that they run certainly seemed as impressive and varied as BAM’s. 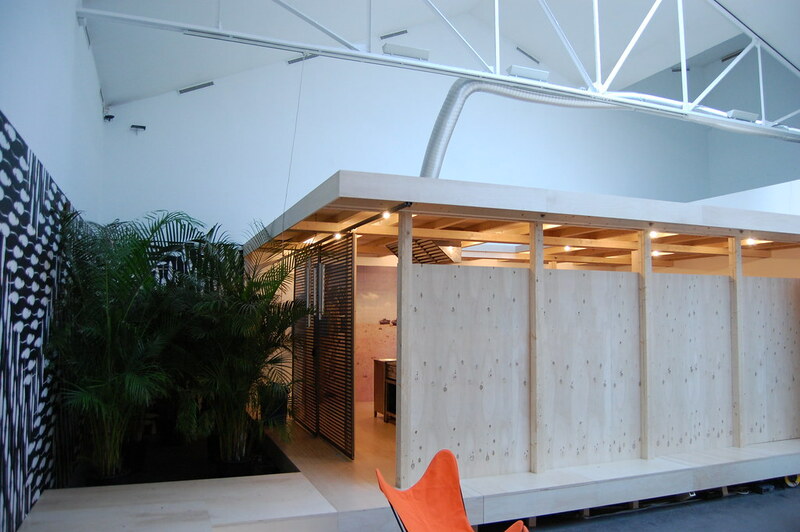 In addition, they throw in a huge visual arts component. There was a show of photographs depicting New York on loan from the Museum of Modern Art when we visited. Do I want to travel two thousand miles to look at photographs from the museum I have probably spent more time in than any other? Yes, when it’s accompanied by some of the best guides to individual artists I’ve ever seen in a museum. 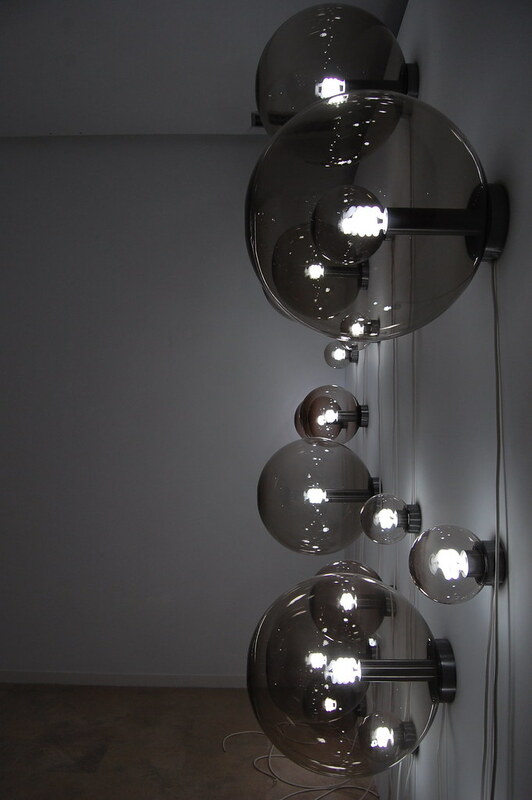 Installing works by Antonio Ballester Moreno at Maisterravalbuena. Photo: 16 Miles. On the way to Galería Helga de Alvear we strolled into Maisterravalbeuna as the staff was hard at work hanging paintings by Antonio Ballester Moreno (who has shown with Peres Projects) for his opening. Only later did we learn that the wonderful Kate Gilmore is part of their eight-artist team. Choice work. Due to the magic of Spanish law, the country’s banking industry is non-profit, its earnings earmarked for public projects like lavish museums and epic exhibitions. 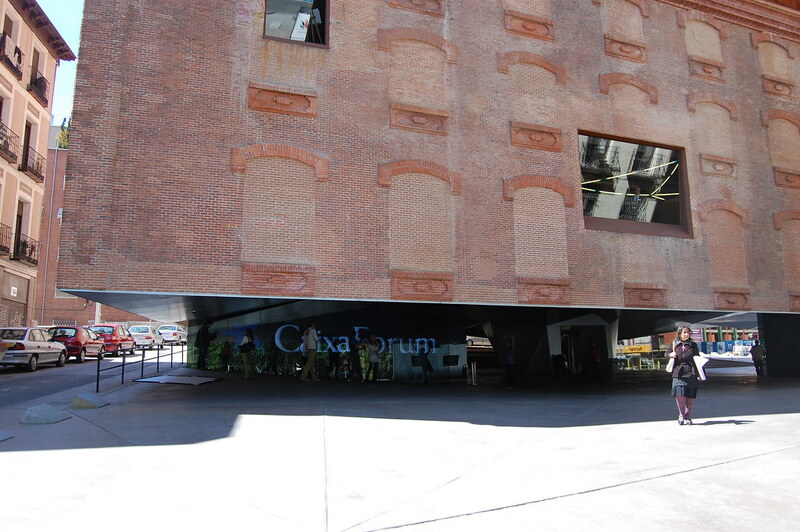 Hence the Herzog & de Meuron-designed CaixaForum Madrid, which is housed in an old, brick power plant. The first floor has been sliced away and appears to float on a cube of glass. Inside, there’s plenty of steel, wood, and more glass, as well as a bookstore with an impressive selection of art books. It amounts to an umbilical cord of gold that seems to function relatively well.